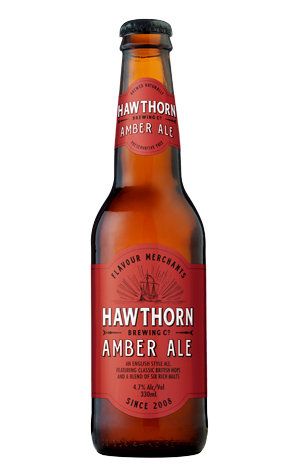 While most beers in the Hawthorn range push the hops as their stars, with the malt there to provide balance or play a supporting role, with the Amber the tables are turned. It's inspired by the brown ales of Northern England with hops offering a touch of earthy spice, maybe a hint of marmalade bitterness in the background, but elsewhere it's a layered malt-fest. It's a bright, rusty amber affair with soft cocoa, chocolate and lightly toasted flavours that all mingle with the bitterness.